Using the natural features in place is an important part of course design. Architects who design golf courses for a living are charged with a lot of responsibility. Building a golf course costs a great deal of money, requiring architects to keep costs as low as possible and also make the course playable--without detracting too much from the overall look of the course. While it is not essential that a golf course designer be an experienced golfer, it is a valuable asset in shaping holes that are fun and not unfairly difficult to play. In recent years, many famous PGA Tour golfers like Jack Nicklaus, Arnold Palmer, Tom Weiskopf and Gary Player have used their playing expertise to help design upscale courses, both public and private. 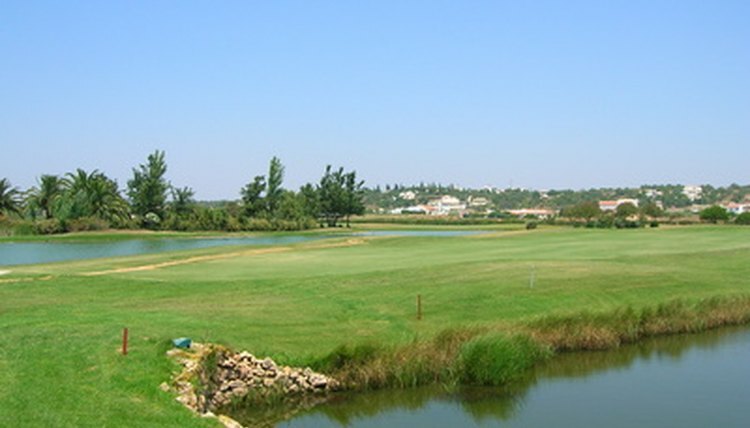 The land available to golf course owners must also be carefully factored into the design. The total area available plays a large part in determining how long the course will be. With limited space, you will not want to have many extra long par 5s, long par 4s or par 3 holes that require a long tee shot. Another way to limit the length of the course is to lower the par. A par 70 course requires less area than a standard par 72. When a large area of land is purchased for a golf course, there usually are natural features already in place that can--and usually are--factored into the design. Natural features that work well include, hills, rivers, creeks, lakes and wetlands. A large body of water also can be used to add an element of danger on several holes. Another important factor to consider when designing a course is the expected level of skill of the golfers who will play the course. While every designer would love to design a PGA Tour-caliber course, most courses must be designed to provide a reasonable challenge for the average golfer. As such, a well-designed course has a mix of difficult and less difficult holes, with the challenges spread throughout the course. Building a compact golf course is often important to owners trying to keep their budget down. The longer the distances between holes, the more land that is needed for the course. Putting holes parallel to each other, with greens placed near the tee box of the next hole, requires less land than scattering holes on the property.